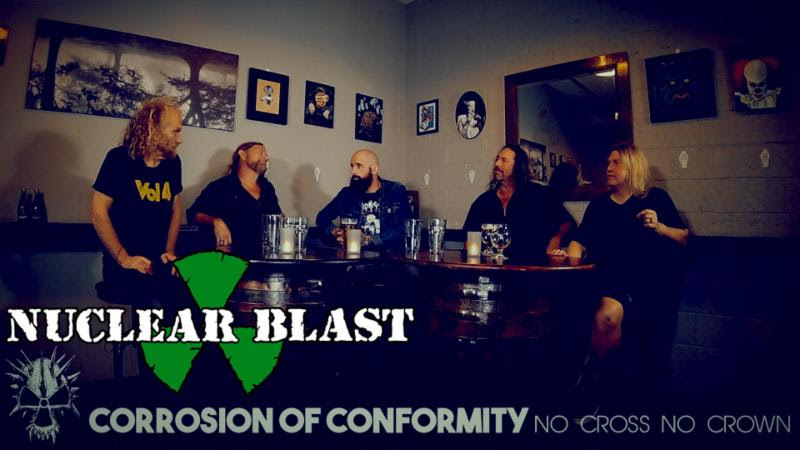 Today CORROSION OF CONFORMITY issues the sixth clip in the No Cross No Crown videoblog series. In an in-depth roundtable discussion conducted by J. Bennett, the band talks about forthcoming fan reactions and album reviews. Watch the latest segment at the Nuclear Blast YouTube channel at THIS LOCATION. No Cross No Crown, captured in North Carolina with longtime producer John Custer, marks the first recording with vocalist/guitarist Pepper Keenan in over a decade. The record will see worldwide release on January 12th, 2018 via Nuclear Blast Entertainment on CD, digital, vinyl, and cassette formats. Various preorder bundles are currently available at nuclearblast.com/coc-nocrossnocrown.